I must admit, I know very little about Kayaking as a sport, let alone South African participation in the sport. But in doing my research for the Olympic Games I came across this awesome nugget of information. Not only do we compete in this sport, but two of our ladies will be heading over to London to compete. So in the last of our Olympic interviews, we got a chance to chat to one of South Africa’s hidden treasures as well as one of All Things Jabu’s 20 Reasons for Men to watch the Olympic Games, Tiffany Kruger. The interview took place before Tiffany jetted over to the UK on Friday night. 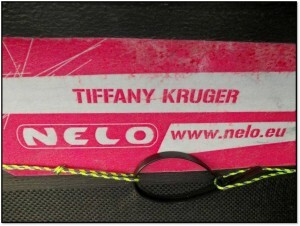 All Things Jabu (ATJ): Hi Tiffany. Thanks for the chance to chat! How are you feeling in the buildup to the Olympics? 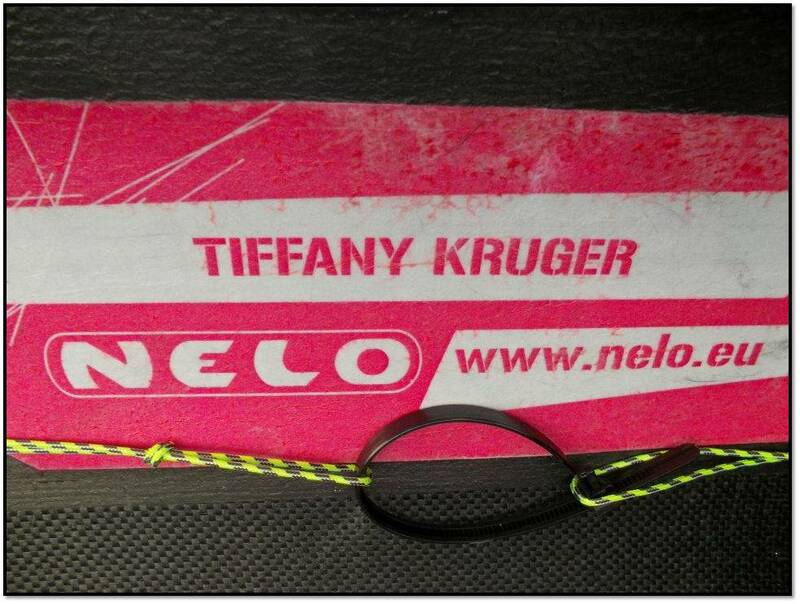 Tiffany Kruger (TK): Morning! Anytime I love meeting new people. The buildup has been pretty surreal in that while I’m apart of Team South Africa I only go to the actual event on the 3rd of Aug so I’m half-and-half on everything that’s been going on but form where I have been involved its been extraordinary. ATJ: Is qualifying for the Olympics the highlight of your career so far? TK: Without a doubt! It’s the pinnacle of our sport and its where we all go to test ourselves against the world. ATJ: Now having qualified for the games, what are your goals for the event? TK: To be honest to make a final, and gain as much Olympic experience as is possible. ATJ: You must spend hours training every day, can you tell us a little bit about your training schedules? 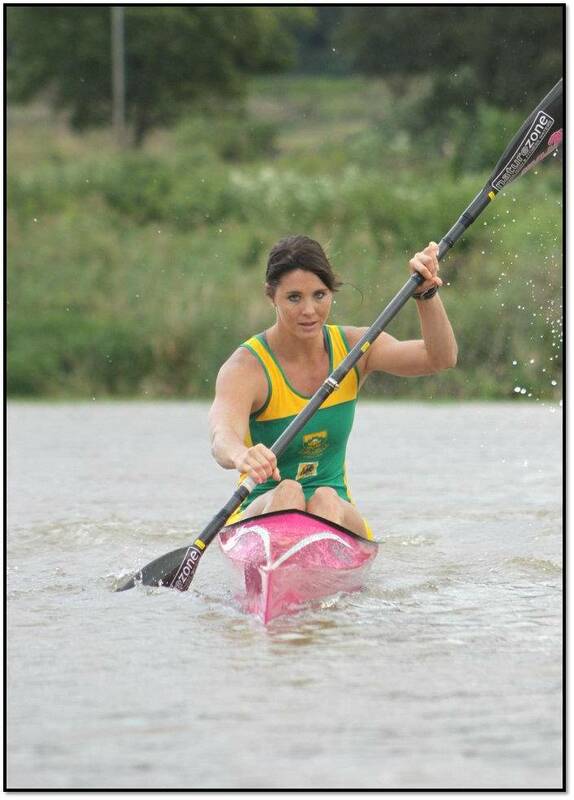 TK: My training consists of 3 sessions a day alternating between, running, Gym and paddling, Although I tend to spend more of my training time in the gym in comparison to paddling as my event is the 200m sprint so there’s a lot of raw explosive power, that you get in the gym, It’s the same for many of the sprint swimmers. ATJ: Getting to be at the Olympic Games, you will in all likelihood get to meet a few of the International sports stars, who are you most excited about meeting at the Olympic Games? ATJ: Are you at all concerned about getting caught up in the fanfare of the Olympic Village? TK: Like I said earlier we’re in our own ‘village’ but I’m sure that there will be heaps going on around the lake etc but I don’t think you can avoid the fanfare, you just have to deal with it and remain focused on the job at hand. ATJ: With this being your first Olympic qualification, are you looking toward Rio 2016 at all, by trying to gain experience in London? TK: Rio 2016 is my actual goal, as I would like to medal there. So from that point of view London will be a massive learning curve, I quite literally want to be a sponge and absorb as much as I can not from an atmosphere point of view but from other athletes; how they handle it, how they prepare, just everything. Using that, I will apply it to my own training and that way I can better prepare myself for Rio. ATJ: What was the experience of being involved in the buildup for Team South Africa? ATJ: Are you starting to feel like a celebrity with the extra coverage around your inclusion in the Olympics? TK: I must be honest, the extra media attention has been amazing and I think that if I didn’t have such an awesome support system behind me I could easily be caught up in it all. My family, boyfriend, friends and coach keep me very grounded and focused on doing my very best at the games. ATJ: Where can our readers find out more about you and your London adventure? TK: I would love for your readers to follow me and connect with me, I try to answer all emails and posts on my Facebook page. ATJ: Good luck for the Games! We will be holding thumbs for you! TK: Thank you. Let’s hope I can make you all proud. 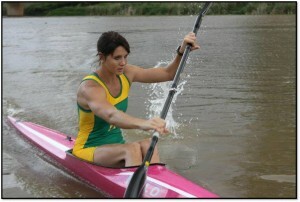 Saluting South Africa’s Olympic Medalists!